Rhodiola rosea is a plant in the Crassulaceae family that grows in cold areas around the world. These regions include much of the Arctic, the Central Asian mountainous areas, the Rocky Mountains, and the mountainous parts of Europe, such as the Alps, Carpathian Mountains, Pyrenees, Scandinavia, Iceland, and the British Isles. Rhodiola rosea has been shown effective in improving mood and alleviating depression. Research from Russia has shown that it improves both mental and physical performance, prevents sickness in high altitudes, and reduces fatigue. In one study, the Rhodiola rosea group decreased proofreading errors by 88% while the control group had an 84% increase in errors. Rhodiola rosea’s effects are attributed to its ability to optimize serotonin and dopamine levels and its influence on opioid peptides like beta-endorphins. The stimulant substances are adaptogens. 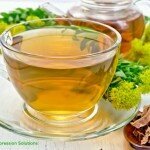 In Russia, rhodiola has been used for hundreds of years to cope with the harsh Siberian climate and stressful life. Laboratory studies have isolated six compounds from the root of Rhodiola rosea. These include Flavonoids, Monoterpernes, Phenylpropanoids, Triterpenes, Phenolic acids, and Phenylethanol derivatives. The specific plant-based (phytochemical) components which exhibit Rhodiola Rosea ’s abilities are Rosavin, Tyrosol, Rosarin, and Salidrosides. Rhodiola rosea has been identified in clinical analysis as an adaptogen which increases the body’s resistance to a wide range of stressors, whether chemical, physical, or biological. Scientists explain that Rhodiola Rosea most likely affects multiple systems in the body to promote emotional well-being, mental clarity/sharpness, and physical endurance. Pharmacological studies have demonstrated that Rhodiola Rosea stimulates neurotransmitter activity in the Central Nervous System and my affect Norepinephrine, Serotonin, Acetylcholine and Dopamine availability in neuropathways that control anxiety and mood stability. Further lab studies have shown Rhodiols rosea to enhance permeability of the blood-brain barrier to Dopamine and Serotonin. The precise mechanism of action isn’t fully understood, but clinical and lab research shows Rhodiola Rosea affects and promotes healthy neurotransmitter balance in the brain and provides some relief for depressed mood, mild to moderate mood changes, mental/physical fatigue, as well as occasional anxiety and panic attacks. A mild to moderate dose of Rhodiola rosea, 50 to 200mg per day, is recommended for clinical effectiveness. Rhodiola Rosea’s benefits are supported by other plant-based supplements such as St. John’s Wort, Winter Cherry (Ashwagandha), SAM-e, Valerian Root, and 5-HTP. Rhodiola rosea has demonstrated very low occurrences of side effects, and available clinical evidence suggests it has a low toxicity. There are currently no contraindications with prescription medications.